The Ohio Resident Educator Program is a comprehensive multi-year induction program resulting in Professional Licensure during which a veteran teacher serves in the role of mentor to a teacher who is new to the profession. In order to advance to a five-year professional license, resident educators must complete the Resident Educator Summative Assessment (RESA). 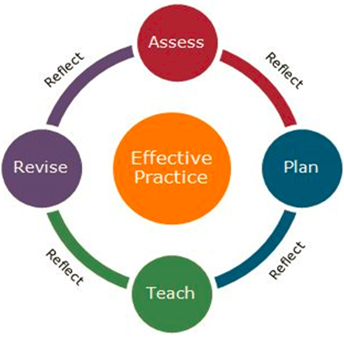 The Ohio Resident Educator Program represents the first steps on a path of continued professional learning, leading educators to more effective practices and excellence in teaching. Green's program is designed to work in concert with the Ohio Teacher Evaluation System (OTES) and is therefore aligned closely with the Standards for Ohio's Educators. support him/her in achieving a five-year professional license. The program coordinator and lead mentors organize the program, report required data to the Ohio Department of Education, and provide ongoing professional development and support for mentors and resident educators based on the level of residency. Credentialed mentors provide job-embedded support, assistance and guidance to resident educators through a four-year induction cycle. Resident educators and mentors work collaboratively to enable the resident educator to demonstrate mastery of the Ohio Instructional Cycle through the Resident Educator Summative Assessment.